We know the importance of good bookkeeping in your business. Improve the quality of your accounting and gain an unbiased perspective on your financial picture. Inland Northwest Bookkeeping has been serving the Spokane, Washington and Coeur d’Alene, Idaho areas for over twenty years with the best accounting practices available. We provide the best quality bookkeeping in the area, and we are always looking to assist our clients in their accounting needs. Our services are tailor-made for your small to medium sized business, letting you focus on the goals that matter to you most while we handle your accounting. We devote ourselves to managing your accounting needs so you can continue to thrive while we take care of your books. 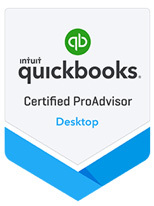 Our certified QuickBooks ProAdvisors can get you up and running with the best suite for your company. With secure checks and direct deposit, let us take of your payroll in an accurate and timely manner. I am writing on behalf Connie Smith (owner) of Inland Northwest Bookkeeping Service of whom I have had the opportunity to work in a business relationship with for years. Over that time Connie has exhibited wonderful organization and communication skills in handling our companies account.  I have found her to be very honest and sincere and would truly recommend Inland Northwest Bookkeeping Service. I find Ms. Smith to be very competent, responsible and dedicated to her work. She has the talent to successfully administer wide ranging functions.